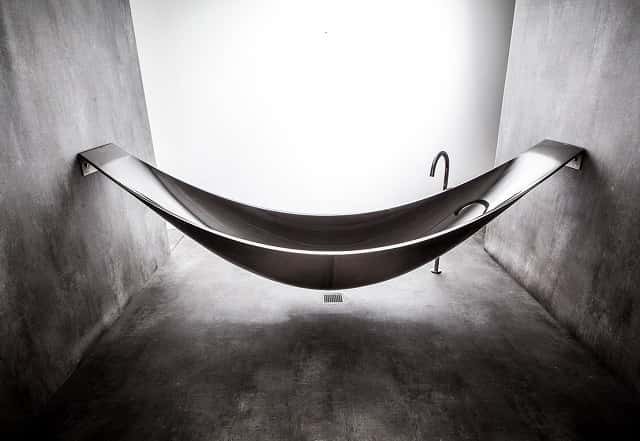 An amazing hammock bath tub, born from the idea of combining the relaxation of lying in a hammock with the comfort of a nice warm bath. 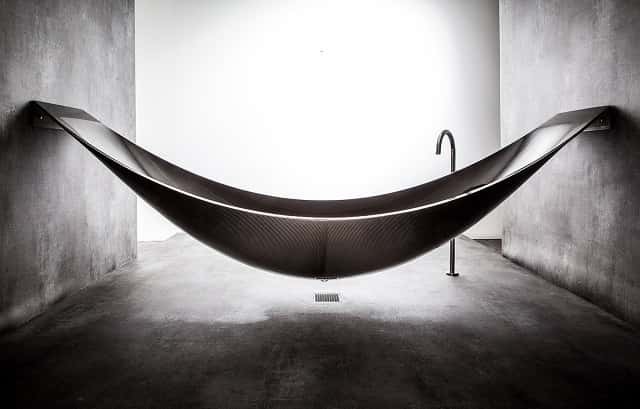 This incredible suspended bathtub (‘The Vessel’) is a superb design by Splinter Works. The ‘Vessel’ is designed for use in a wet room, it is hung from the walls with stainless steel brackets which can be covered or left exposed. The Vessel is filled via the floor mounted tap and the waste water is released through the base above the well placed floor drain. However a down pipe drain can be installed for those who do not have a wet room. 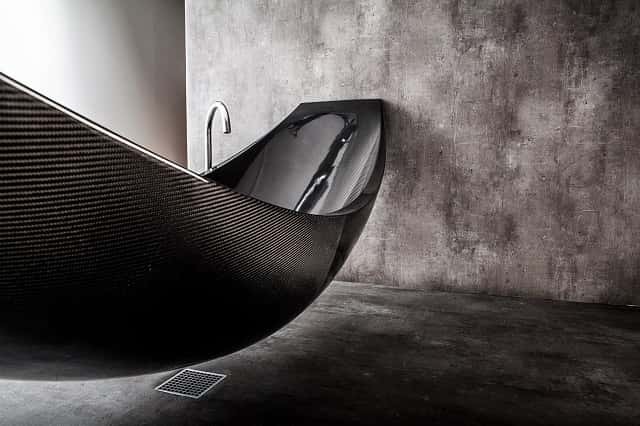 The black carbon fibre bath tub pictured is 2.7m long but it is also available in custom sizes and comes in a range of colors.